We announce to you the death of Alh solihu olarongbe ajarawolu, The seriki driver of Ilorin. 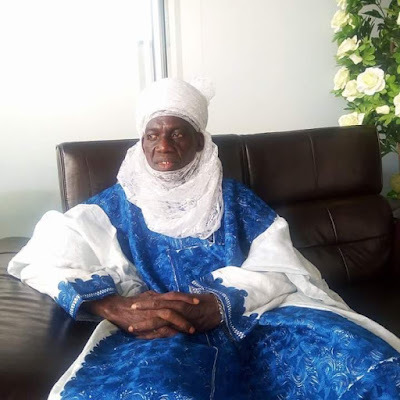 Following the death of Etsu patigi, the Emir of Ilorin , Alhaji Ibrahim Sulu-Gambari, has expressed sadness over the death of the Sarki’n Driver of Ilorin, Alhaji Saliu Olarongbe, describing it as crude loss to the Ilorin Emirate. In his condolence message issued by the National Secretary of Shehu Alimi Foundation for Peace and Development, Mallam Abdulazeez Arowona, the emir noted that the late Sarkin Driver was a loyal aide and confidant. The emir however prayed Allah to grant his family and the entire people of the Ilorin emirate council the fortitude to bear the great loss. “Death is inevitable and shall be tasted by everyone at the appointed time. I pray Allah to forgive Alhaji Saliu Olarongbe, the late Sarkin Driver of Ilorin aand admit him into al-janatul firdaos”, the emir added.